Rob Parkinson has been a favourite with school audiences and workshop groups for almost three decades. He has made literally thousands of highly successful visits to schools of every kind in Britain and abroad. 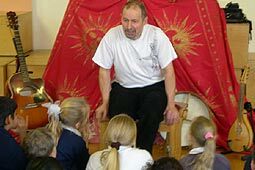 School staff regularly invite him as author, storyteller and musician to work with children and teenagers, to talk to parents, to entertain family audiences or to train staff in his many techniques for encouraging pupil’s imaginative, verbal and written skills and joined-up thinking about their scope in education. In recent times, his critically acclaimed publications have backed up visits with joined up thinking about the scope of storytelling in education with all sorts of practical ideas. Rob works with all ages, from nursery through all primary and secondary ranges, in both state and private sectors, special schools and also further and higher education establishments. He also visits international schools around the world through Authors Abroad. — Mr R.C.Baldock, Head Teacher, Hollingbourne Primary School. Special events: book weeks, arts fortnights etc. Rob’s work has long been popular at book weeks, arts festivals and other special events where he blends traditional and modern storytelling with his skills as songwriter, poet and multi-instrumentalist in both performance and workshop sessions. 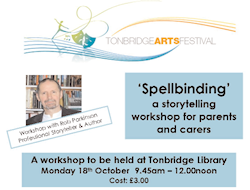 Rob Parkinson has been involved in many longer projects with schools, developing skills in story writing, telling and in focused creative uses of imagination. Existing material can easily be creatively adapted to suit requirements of particular schools and to follow to suitable themes. Rob will also research and create entirely new material for extended projects. 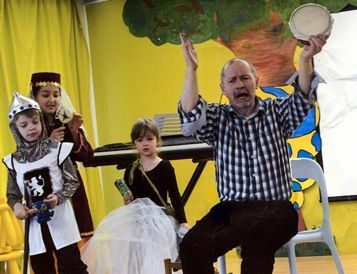 ‘He worked with local primary schools over a number of weeks, organising INSET workshops for teachers, preparing materials, and organising a final performance. Rob took a great deal of trouble over the organisation and planning and showed great skill in developing appropriate materials and working creatively with children. We received excellent feedback from teachers and parents, and the whole project was hugely enjoyed by the children. — Elaine Scutt, Tonbridge Arts Festival Organiser/ Lead Librarian K College. This scheme for gifted & talented young writers was originally set up by top children’s poet Brian Moses and brings together leading authors skilled in working in education. Groups from different schools work with an author for a day to create new stories or poems or other material and develop their writing. 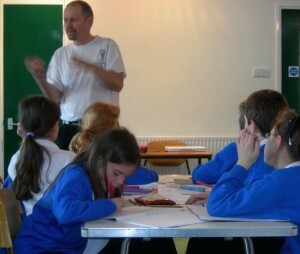 Schools able to host workshops get workshop places at no cost. Administration is currently with Authors Abroad. The scheme runs most often with Year 5 & 6 pupils, but is also presented for both younger and older groups, for Year 2 all the way up to Year 9 and sometimes beyond. 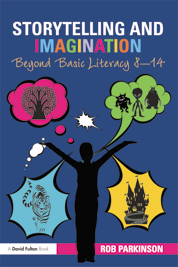 Rob Parkinson regularly presents interactive, fun, sociable workshops on this scheme, moving smoothly from oral storytelling into writing, showing how to develop and adapt traditional plots and themes to make new yarns with a contemporary or even futuristic slant. 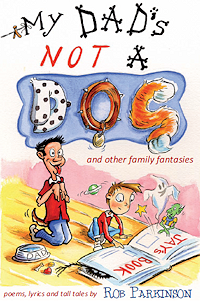 For further information, read or download Rob Parkinson’s Work on the Able Writers Scheme. This new scheme has been running in partnerships with some libraries and is aimed at older pupils in primary schools and students up to Year 9 in secondary schools who need motivating to engage creatively with the written and spoken word. 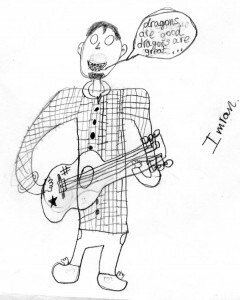 It features highly experienced writers and performers skilled in inspiring pupils in school. Contact us for further details. Performances and workshops for many special needs schools and groups can be arranged. Rob Parkinson is widely experienced in working in these contexts. If you are making a repeat booking and have previously booked through Authors Abroad or Class Act, please make contact by the same route again. Performances for both large and small audiences are always interactive, improvisational and inspirational, pitched at levels to suit age and ability. Rob draws on an enormous repertoire of many hundreds of stories, his own original yarns , plus the music of guitar and a dozen usual and unusual expertly played ancient and ethnic instruments plus his own songs and published poetry. For additional queries, download the Schools Information Pack (coming soon).